2.excellent conductivity,size:Free size or customized 3. Reasonable price and higher quality. 4.Zero resistance, washable for many times. CE,ISO13485,ISO9001,SGS and PONY certificates are available . Delivery: B y DHL, UPS, TNT, FeDex, Air 11 years' profession OneTech Med has become an integrated group with subsidiary factories, contribute to developing, producing & marketing advanced medical equipments including Latest Ultrasound Machines, B/W ultrasound, Color doppler ultrasound,3D/4D ultrasound machine, Dental units& Blood test analyzers. We have 11 years' profession in domestic market, and are aiming for oversea market this period of time. So we have much discounted prices for our clients and hope to establish long-term business relationship with our dear customers. The stimulation will be triggered when the EMG signal reaches the threshold. 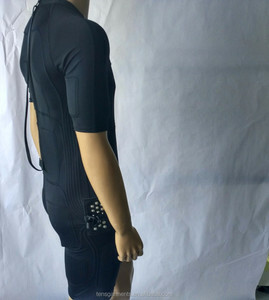 EMG Mode: Under this mode, the stimulator will detect user's sEMG signal. The APP controls the speed and position of the games according to the signals. These chemical reactions utilize glycogen, fat and other nutrients stored in the muscle. The electricity from the electrodes stimulate the nerves in an affected area and may block the pain signal travelling to the brain. Another theory is that the electrical stimulation of the nerves may help the body&rsquo;s own natural pain control mechanism. 2.Our factory provide expert user manual, free training for operation of the machine in our factory, which provided by our specialized training department. 4.OEM/ODM services are available, we have our own developing and design department and manufacturing line, have the top technology in the market, which ensure your required beauty machine. Q5.If the machine broken during the shipping, how to solve it9 First: Machine arrived when sign for it, please check all the goods whether is If damaged, please take photo for the damaged package and the damaged goods. Packing & Delivery Packaging Details: antistatic sheilding bags. 1000pcs. 2.excellent conductivity,size:Free size or customized 3. Reasonable price and higher quality. 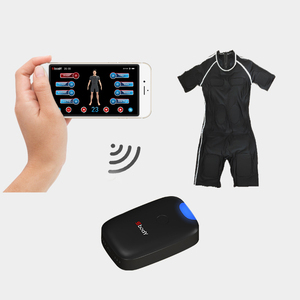 Contact Sincerely yours Shenzhen Yingda Strong Technology co.
H1 combines biofeedback sEMG, Neuromuscular Electrical Stimulation (NMES), EMG Triggered Stimulation (ETS), Power Assistant Stimulation (PAS) and integrated electrode, providing perfect user experience for medical personnel and patients. 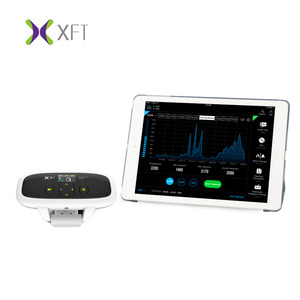 Treatment Principle H1 detects and analyzes the patient&rsquo;s sEMG signals in real time through the electrode, and then simultaneously delivers low frequency electrical stimulation according to the sEMG signal, evoking muscle contraction and enabling patients to do active motor function training. 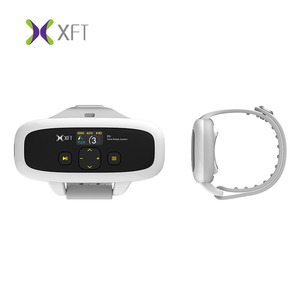 Electrode loose warning Specification Product name H1 Hand Rehab System Model XFT-2003E Classification Type BF Equipment Power supply Rechargeable lithium battery 7.4V Maximum Current 250mA Max Voltage 30 V Pulse Width 50 ~ 450&mu;s (&plusmn;10%) Frequency 2 ~ 100Hz (&plusmn;10%) Wave form Asymmetrical balanced biphasic wave Size 140*58*27mm Weight 120g Service life 5 years Warranty All XFT products are provided with 2-year warranty starting from the date of purchasing. 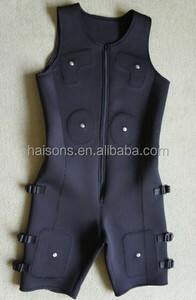 Alibaba.com offers 329 physiotherapy equipment-emg products. 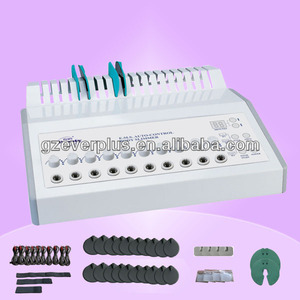 There are 329 physiotherapy equipment-emg suppliers, mainly located in Asia. The top supplying country is China (Mainland), which supply 100% of physiotherapy equipment-emg respectively. 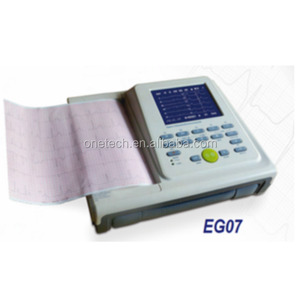 Physiotherapy equipment-emg products are most popular in North America, Eastern Europe, and South America. You can ensure product safety by selecting from certified suppliers, including 187 with Other, 19 with ISO9001, and 14 with ISO13485 certification.